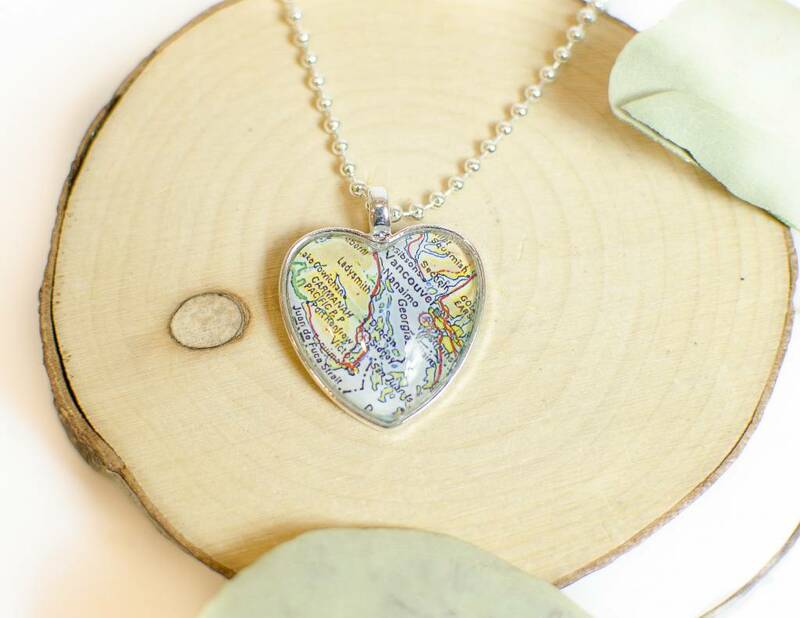 Victoria love map heart necklace. Declare your love for Victoria for all to see with this lovely charm necklace. From lifelong residents to keen vacationers, anyone who has spent time in Victoria would wear this piece with pride. 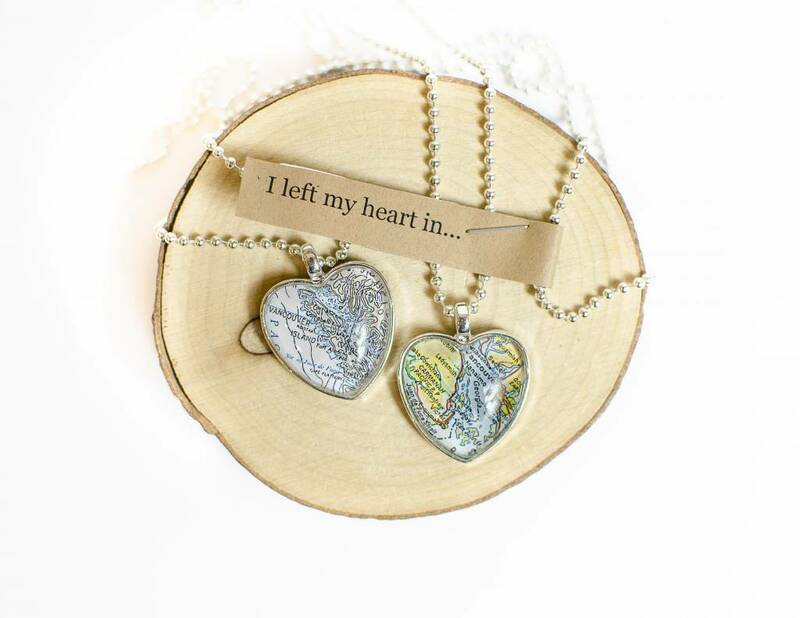 Each 1" map is sealed in glass and a zinc alloy metal heart, then hung on a 24" chain. Handmade in Victoria, BC.